April 2018 will mark the twenty-eighth year for Reverend Louis B. Jones, II in his pastorate of the 107 year old Pilgrim Baptist Church. A second generation Pastor, son of Sister Dollean Jones and the late Reverend Dr. L.B. Jones, Sr., who pastored the Springfield Baptist Church in Washington, D.C. for thirty seven years, and son in ministry of the late Dr. E.V. Hill of the Mount Zion Baptist Church in Los Angeles, California, where Pastor Jones was licensed and ordained to the work of the gospel ministry. 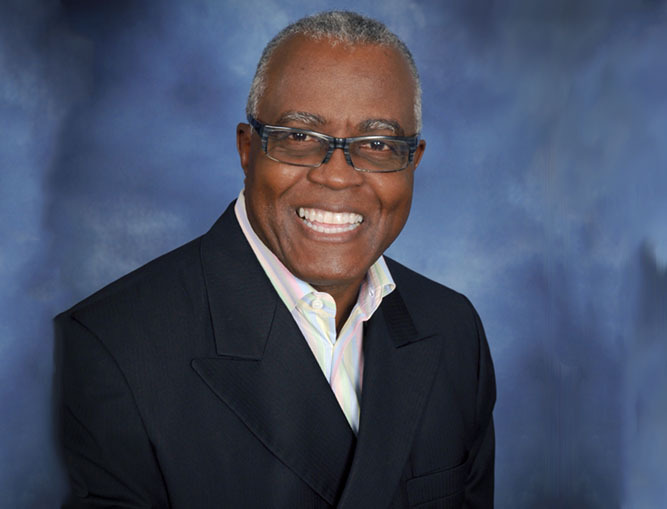 Pastor Jones has a Masters of Theology Degree from Eastern (Palmer) Theological Seminary in Wynnewood, Pennsylvania. He is also the recipient of several honorary Doctorates. A Pastor with a heart for Missions, he is a member of the Lott Carey Pastoral Excellence Team that has traveled to mission fields in Jamaica, Guyana and South Africa. With his belief in entrepreneurship, he has been the catalyst that led his congregation to purchase commercial and residential property in the Capitol Hill area where their church is located. In October 2014, Rev. Jones was able to pay off over one million dollars in mortgage through the sale of their commercial property, allowing the church to be debt free and still own twelve properties. He has worked diligently to grow the church membership spiritually and numerically. Rev. Jones has served in numerous leadership capacities and currently holds the following positions: President of the Ministerial Alliance, Inc.; Chairman of Foreign Missions for the Baptist Convention of D.C. and Vicinity; Chairman of the Board – Nannie Helen Burroughs Scholarship Fund; Board of Directors, Nannie Helen Burroughs School; Board of Directors, Eastern Theological Seminary, Lynchburg, Virginia. Rev. Jones is married to Michelle Frances and is the father of five children, and twelve grandchildren. He rides a Harley, and plays golf to relax. Pastor Jones is a called, prepared, willing and anointed man of God whose current ministry focus is taking his church to a level of being Pastor led and leadership driven!